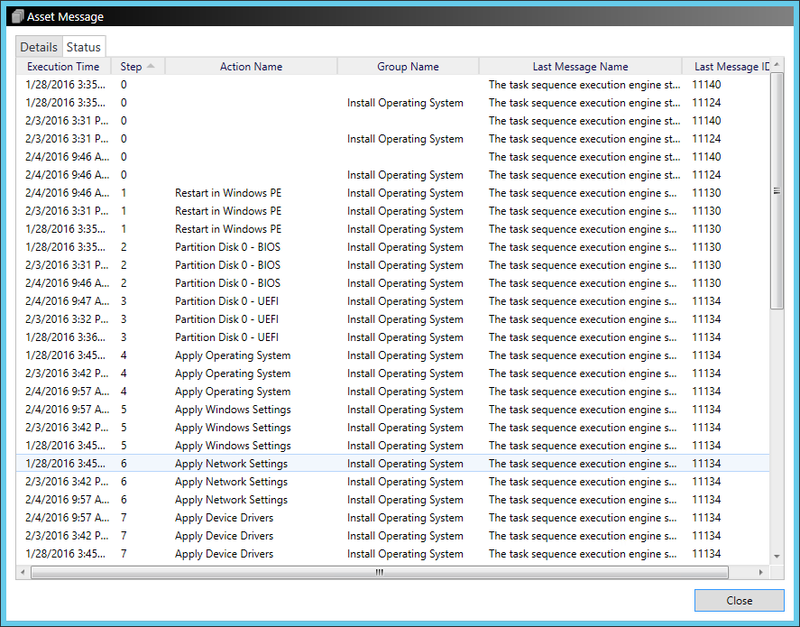 When deploying Windows 10 operating system using SCCM, you will need to monitor SCCM task sequence progress. This allows to track task sequence start, end time and most importantly errors (if any). 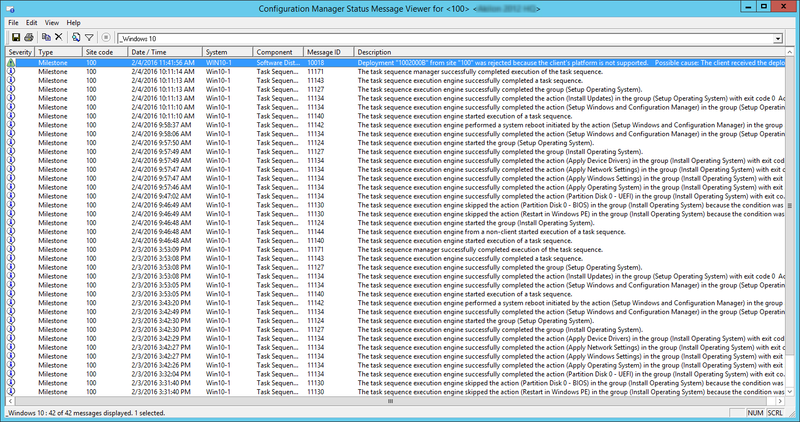 Our post will shows 4 different ways to monitor SCCM task sequences. Each of them has their own benefits and drawbacks. 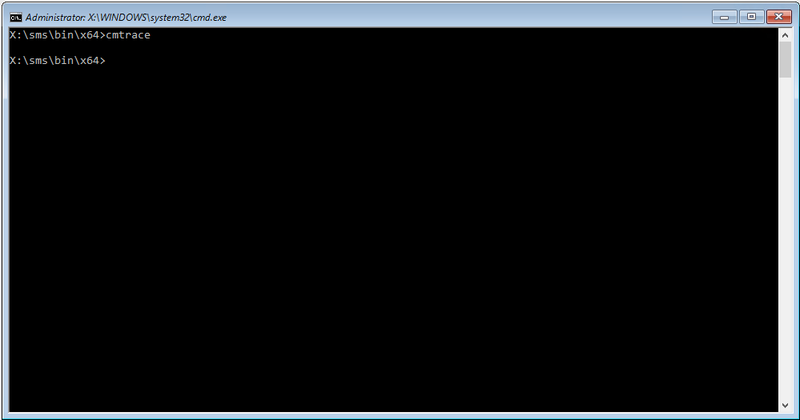 You can view the progress of a task sequence using the SCCM console. This method is simple and easy but permit to see the status of only one machine at the time. 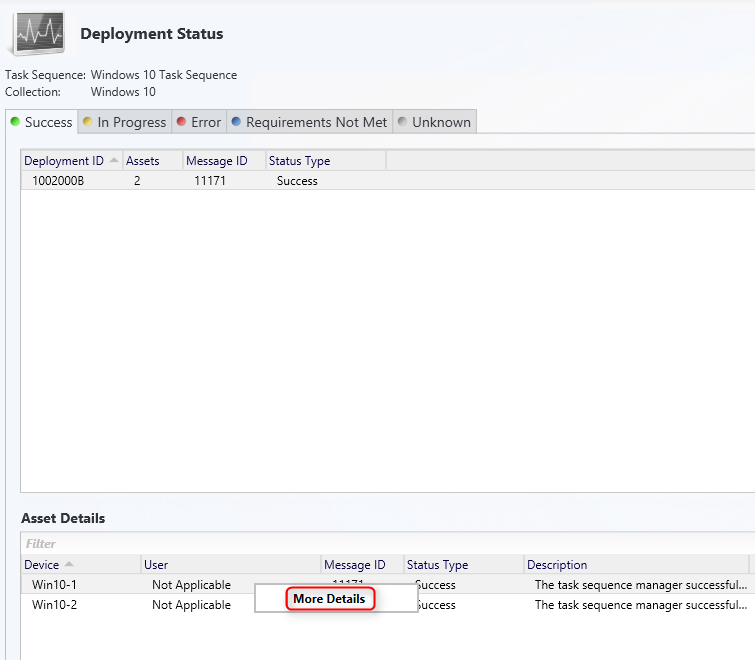 If your deployment staff don’t have access to the console or view deployment status, this option is not for you. 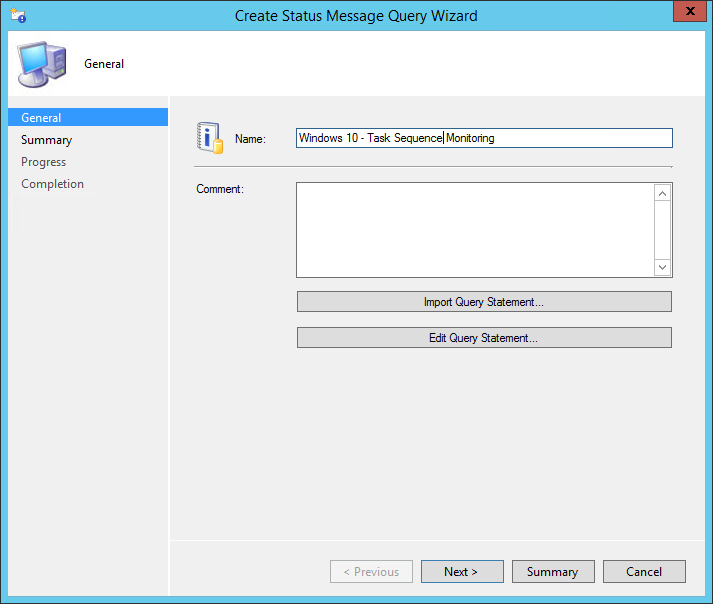 You can use Status Message Queries in the SCCM console to filter only task sequence messages. This method is useful to have messages from multiple devices instead of targeting a specific computer like in the previous methods. This method is a bit trickier to implement. 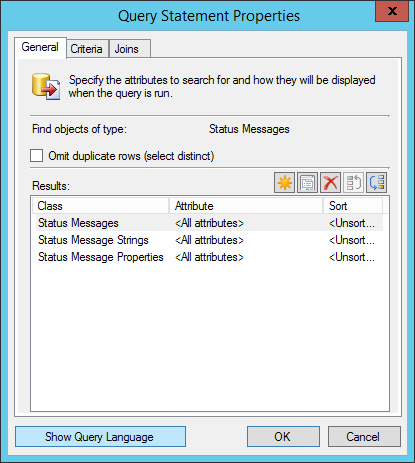 This report shows the status summary of a specific task sequence deployment on a specific computer. This report displays the status of each step of the specified task sequence deployment on the specified destination computer. If no record is returned, the task sequence has not started on the computer. As you can see, readability is easier using the console but keep in mind that reports can be accessible without having console access. 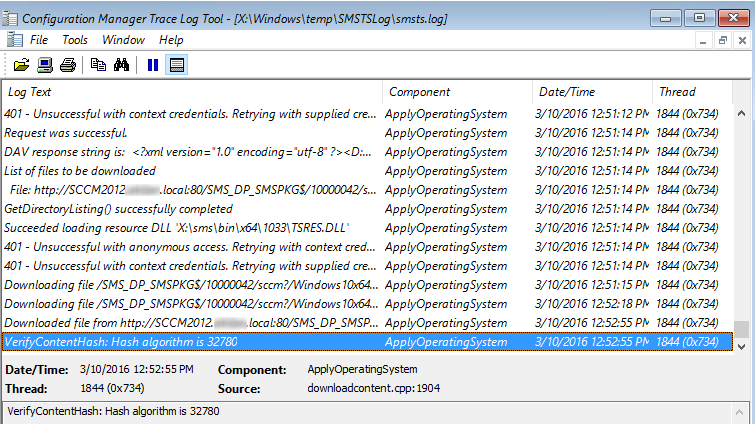 Last method we want to cover to monitor Windows 10 task sequence deployment is using the SMSTS.log file. This is the method you’ll want to use when you have a failing task sequence. 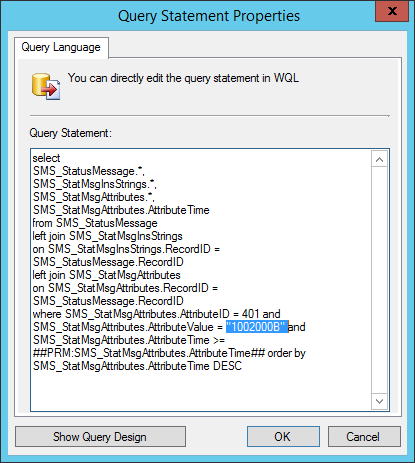 The SMSTS.log file contains every details about every steps in your task sequence. 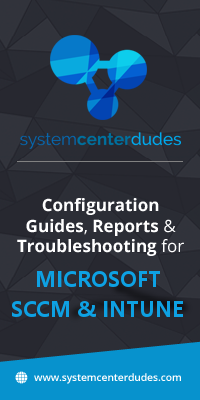 It’s the first place to look to troubleshoot a problem with a specific deployment. We hope this post will ease your Windows 10 deployments. Leave your comments and questions in the comment section. 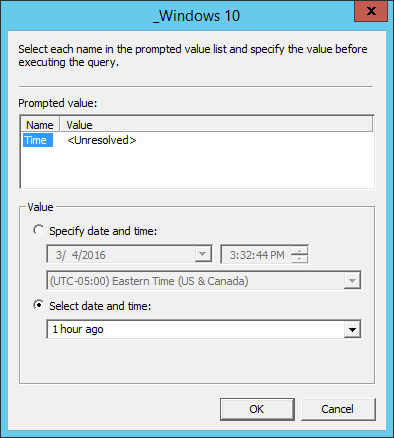 When I try to look at the query design it says the query has a syntax error…. in monitoring theres are some pc that give erro on deploy. i removed them from the collection but they still apear on the monitoring of that TS. What can i do so that the monitoring reflects what is in that collection? Pedro, did you ever figure out how to update monitoring so it doesn’t show the devices you removed? Is there any way of monitoring a deployment that’s using Task Sequence Media? Good blog, I like the custom status query. Another option I use is to copy the logs on task sequence failure and when the task sequence completes. 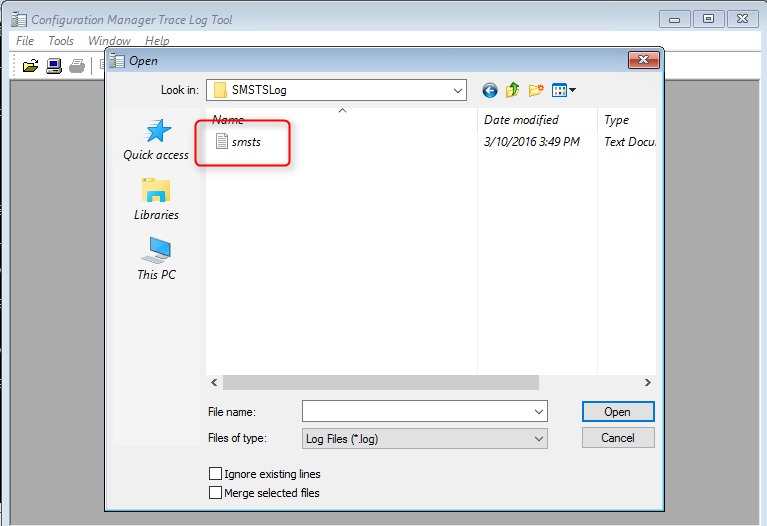 The MDT ZTICopyLogs script with the task sequence variable SLShare set to a network share does a great job to get all the logs from SMSTSLog folder and a few logs from the Panther folder.